Students today are surrounded by multimedia. It makes sense to use modern technology at school to make learning relevant. The Tomorrow Project offers teachers FREE resources that will connect with students in a meaningful way. The Tomorrow Project is an initiative from Intel that encourages people to imagine the future and the implications the role technology will play in our daily lives and the planet. Part of the project includes a collection of videos that will inspire your students to think critically about emerging and futuristic technology. There are a range of videos only a few minutes long. In this short time period your students will be challenged to imagine tomorrow, learn about the possibilities presented by emerging technology, and consider their role in the future. For example, your students can watch celebrities discussing their passion for technology, scientists explaining the latest discovery, or a model of technology as it works now or how it may function in the future. I know that in many schools students cannot watch videos that are on the Internet as often filters prevent online viewing or the connection is too slow for multiple users. Great news! This problem is solved with The Tomorrow Project. Students can watch the videos on the Connected Social Media website. However, if online viewing is prohibited teachers can download the videos and save them in a shared location where students have access. Brian David Johnson, a futurist with Intel, chats with artists, scientists, and researchers about their visions for technology in the future. The underlying message in these conversations is that the future can be shaped by people. These videos will invite your students to become active participants in designing the technology of tomorrow and will encourage them to imagine how technology can improve lives. Use the videos to provide background information about emerging technologies, stimulate discussion, and inspire assignment ideas. Like the videos? Intel has a YouTube Channel that allows you to learn about robotic fish, virtual reality and clothing design, personalized medicine, and more! p>Your students have the power to shape the future. Inspire them to envision this future using The Tomorrow Project Anthology of short stories. 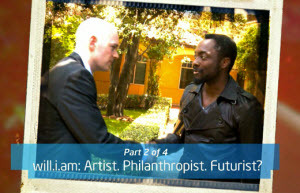 The Tomorrow Project is an initiative by Intel that encourages people to imagine the role of technology in the future. As a computer teacher, you can use the anthology to encourage your students to consider the effect of current, emerging, and future technologies on their daily lives. What is The Tomorrow Project Anthology? The Tomorrow Project Anthology has 4 science fiction short stories. The Tomorrow Project Anthology is a collection of four short stories written by popular science fiction writers. Each story is about people in the future. Often science fiction writing portrays a frightening or negative view of the future. The Tomorrow Project encourages a positive vision of the future as it portrays how futuristic technologies can influence daily life in a constructive, optimistic way. Emerging technologies are interwoven throughout the story events. At the end of each story are hyperlinks to videos or information about the emerging technologies introduced. Last Day of Work: This story envisions a world where humans no longer work. The concept of interstellar migration, virtual quark microscopes, and telepathic devices are subtly interwoven. The Mercy Dash: This story describes a couple rushing to the hospital after a family member has been in an accident. Robot chauffeurs, computer managed traffic, and virtual assistants help them along their trip. The Drop: This story explores the life of a young woman who is unhappy with her job. Armband sensors and mind control software are an integral part of her journey. NOTE: It uses profanity. The Blink of an Eye: This story illustrates the routine of a man at home in the evening. The dependency upon caretaking technology is brought into question. The blending of science fact with science fiction makes it easy for your students to envision the possibilities of emerging technologies. The focus of the science fiction writing in The Tomorrow Project is about people, not about the technology. In thinking about how lives can be improved and enriched by technological advances, your students can gain a greater understanding of digital citizenship. Select a technology in one of the short stories. List three ways that you would use it today to improve your life. Illustrate an emerging technology from one of the short stories. Produce a poster to promote the benefits for a technology in one of the short stories. Write a blog or diary entry criticizing a technology in one of the short stories. Write a classified ad to sell a technology item in one of the short stories. It must be no more than 60 words. Continue the story. For example, in Last Day of Work you could write two paragraphs that describe what the main character does after he retires or in The Blink of an Eye write whether the main character turns off the artificial intelligence devices in the morning.